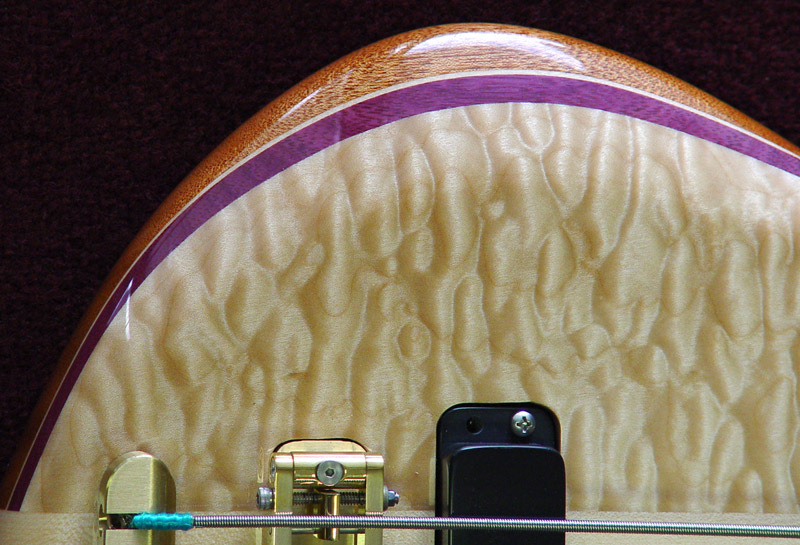 This Rogue's Quilted Maple top shimmers with active dimension that must be seen in person to fully appreciate. 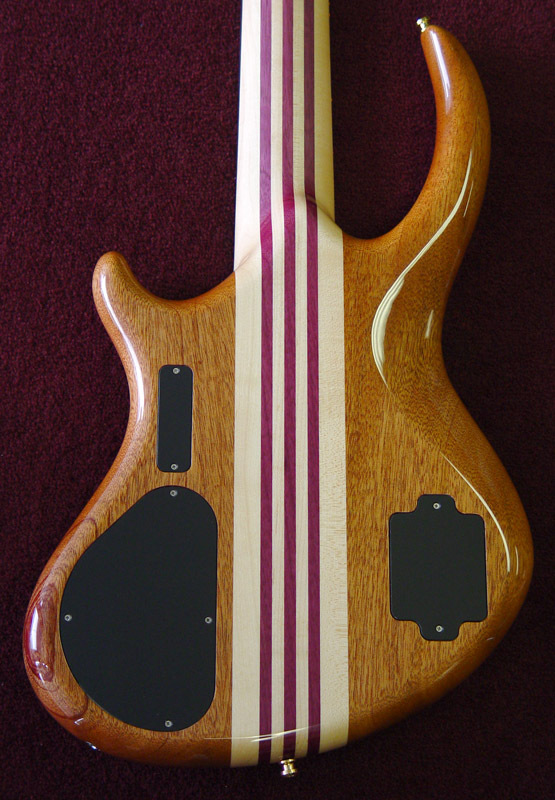 Classic Alembic wood combo of Maple/Mahogany/Purpleheart assures the clean clear tone you expect from a bass with such a heritage. 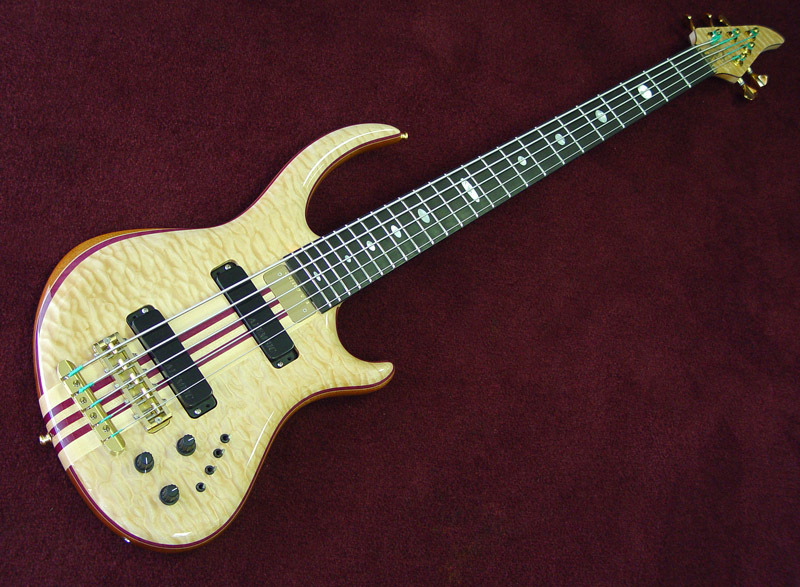 A real performer, the Rogue's extended upper horn reaches up to the 12th fret, so strap balance is a non-issue, this bass hangs very comfortably at 1:30 on a clockface. 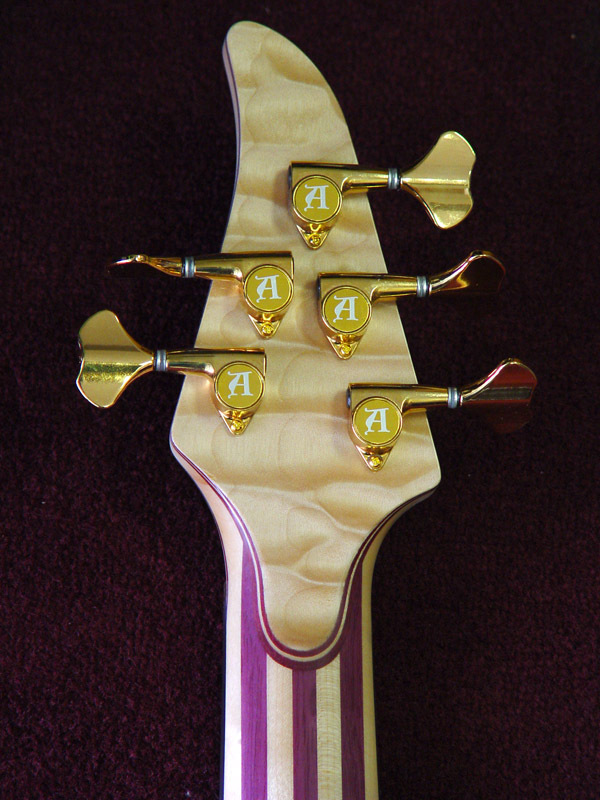 Another feature to appreciate on stage is the quick tone change switches. 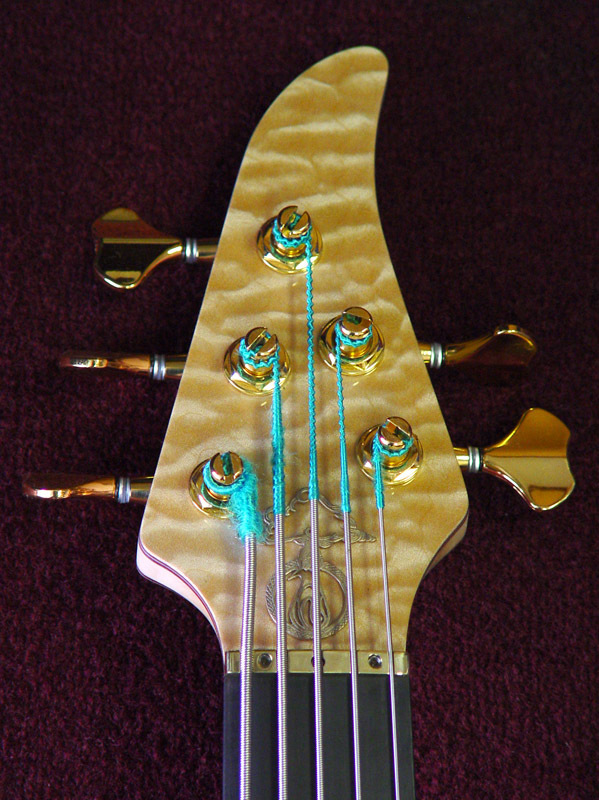 There's one for bass and one for treble, and with three presets each (cut, flat, and boost) finding repeatable sounds on the fly is easy.